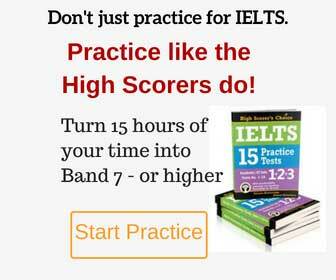 IELTS Essay Plan – Should tourists be charged more than locals for visiting attractions? Today we are sharing some ideas for writing an essay on the topic below, which was recently seen in the IELTS exam in China. Of course, this essay plan is just one of the many possible ways to write a response. You can use these arguments to practice in writing your own essay on this topic. To get your work checked and marked by a teacher, please get instructions on this page. You should spend about 40 minutes on this task and write at least 250 words. Your introduction paragraph would be a good place to explain that the practice of charging foreign visitors a premium is something that several countries do for logical and economic reasons. As far as the differential pricing is concerned, the local government subsidizes the tickets for the citizens to promote national heritage and create more interest / awareness / national pride. In addition, in several poor countries, there is no way a common person can afford the kind of prices that these monuments deserve. This is a dent in the government coffers, but it is a decision in the national interest which the tourism department of the government has the right to make. It’s not in the best interest of a nation to ask for more from foreign tourists as it clearly shows that the government considers foreigners a source of easy money. These people have traveled thousands of miles to understand , experience and praise the historical and cultural jewels, which are a treasure for the entire mankind and not just one nation . Hence, charging them a hefty premium is immoral. Moreover, this differential pricing works as a deterrent for people from underdeveloped and developing nations who could have visited tourist attractions in foreign countries, but missed out due to the combination of high price and unfavorable exchange rate. Summarize the ideas above, do not add new information.